Bangalore, October 2018: The arrival of the festive season has brought along celebrations, love, brotherhood, and serenity. With Diwali drawing closer and the festive season reaching its peak, people are opting for new design ideas and innovative concepts for their home and office decorations. Green Carpet, the garden center synonymous with complete gardening solutions has come up with an exclusive range of UV resistant indoor and outdoor ceramic pots to complement the divine beauty of homes and offices. The increasing love for nature and environment is compelling people to incorporate greenery into the living and working spaces, and Green Carpet is the leading company to provide solutions. Green Carpet has been a Pioneer in the field of gardening solutions bringing the world's best products and innovative concepts to Indian customers. 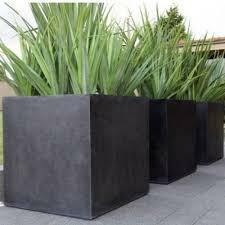 Green Carpet also offers a wide range of decorative planters and pots in ceramic, mosaic, stone, metal, plastic, and other materials. The company tries to incorporate greenery into the lives of all Indians and help people in creating a clean and healthy environment. Green Carpet- the Garden Centre was established in 2002 with an objective to provide all the gardening and landscaping needs of residential owners, corporate offices, and commercial enterprises in India. Green Carpet is the countrywide distributor for two German conglomerates, Lechuza, GmbH &amp; Co and Scheurich GmbH & amp; Co. Ms. Myna Batavia, an avid gardener herself, has traveled extensively overseas to personally curate the best gardening products for the Indian market and featured them in the Indian market.